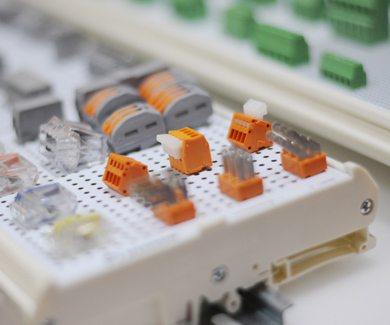 With years of development and thanks to government’s supporting policy, the lighting industry in Guzhen Town is booming. It has formed an industrial cluster value billions RMB. Statistic in 2018 showed that the sales volume of Guzhen lightings account for 70% of China’s total lighting sales volume. Made in Guzhen products are exported to more than 130 countries and regions. Over 20,000 quality lighting manufacturers gather at Guzhen town. Therefore Guzhen town is dubbed as the “China Lighting Capital”. We cooperate with 7 largest Sub-venues in town that offer you more brands and more products variety. Together, the fair forms an exhibition space of over 1,500,000 SQM and gather more than 2,000 exhibitors. During the Guzhen Lighting Fair, sub-venues will launch many special official activities, you are thus more likely to make good bargain. Not to worry about the traffic, we offer free shuttle buses among them during the fair! 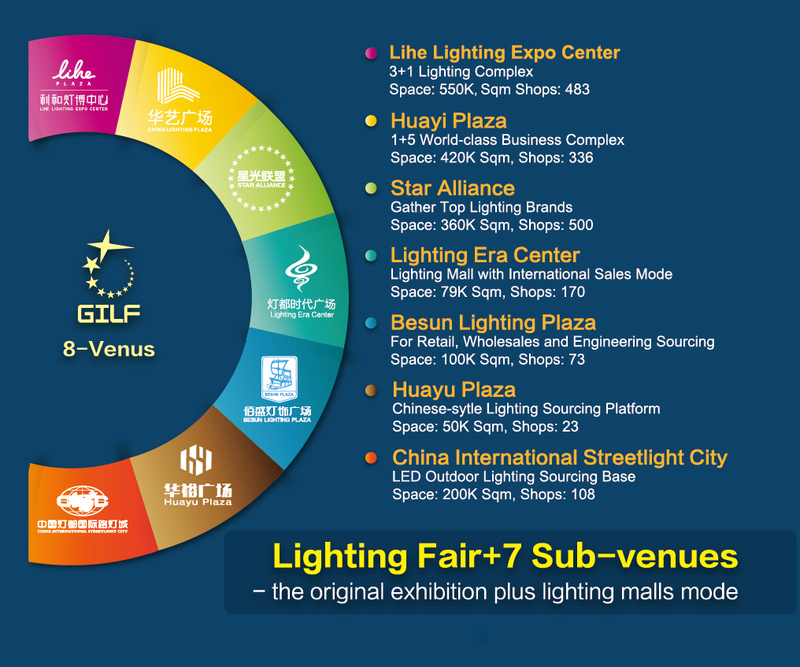 The Guzhen Lighting Fair (GILF) mainly covers final products include decorative lighting, residential lighting, commercial lighting, outdoor lighting, electrical and electronic products. To make the product line more complete and satisfy different sourcing needs, the Guzhen Manufacturing, Supply and Services Expo (GMS) that exhibits machines and accessories will be held concurrently with GILF on March 18-21, 2019 at Guzhen Convention and Exhibition Centre. 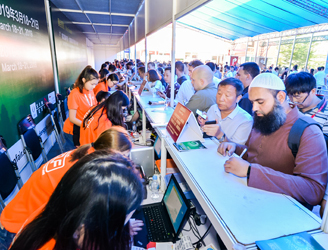 Exhibitor Checking System allows you to locate exhibitors in no time. 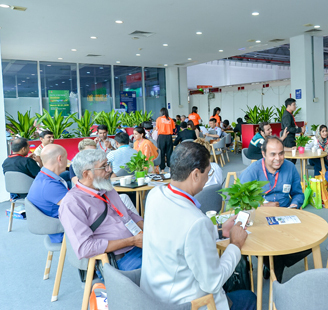 VIP Lounge at Hall A allows you to lay back on the sofa, enjoying snacks and drinks or stay in touch with your friends and business partners through free Wi-fi after sourcing. During lunch time, a free combo-meal will be offered for you.